This kit comprises of three large rock sets, totalling 29 pieces, especially designed for Australian schools as part of the Teacher Earth Science Education Programme (TESEP). The kit includes one free rock kit professional development session (PD), to be taken in 2018, for one teacher (valued at $55), plus access to online support and extension material once a PD is attended. The PD can be a face-to-face event or an online webinar. Please visit www.tesep.org.au for details. This kit is one of the best rock collections available anywhere in the world and assembled by a dedicated team of TESEP geoscientists. 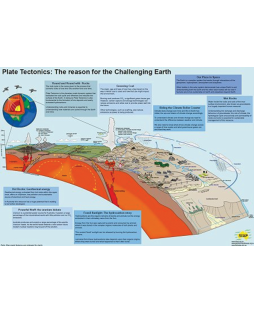 A Plate Tectonics Poster, which shows the rock type locations (item code P226), is also available and forms an integral part of the teaching of this Australian rock kit. Completely safe, free from asbestos, asbestos-like minerals and other toxic materials. Each rock sample has been inspected by TESEP geoscientists.